2. 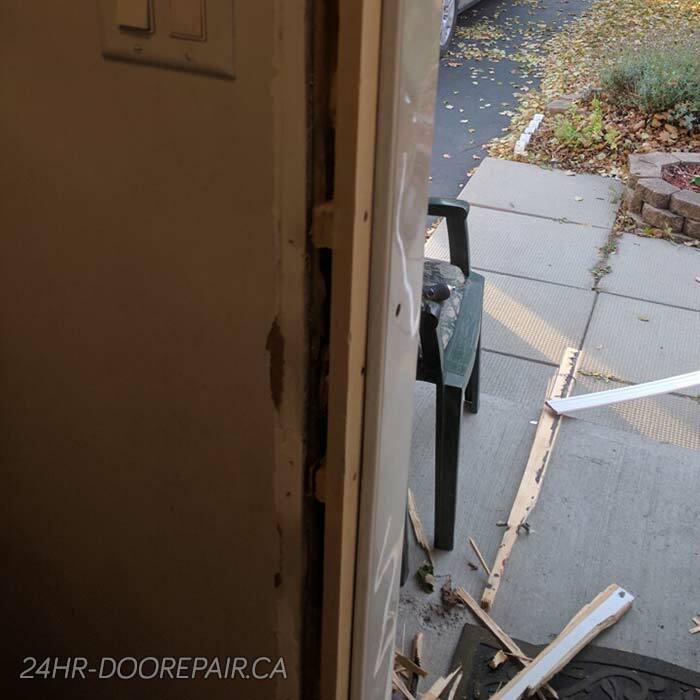 Assessing the break-in damage and giving the customer all the options. 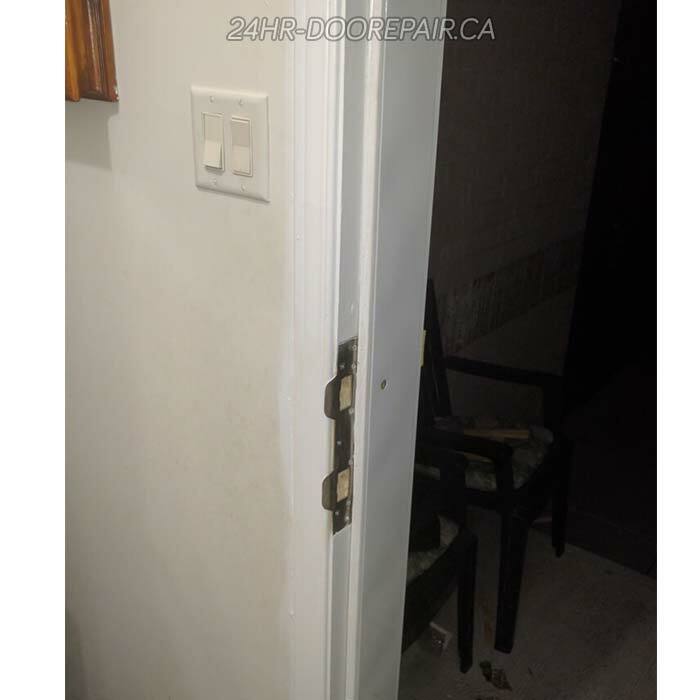 We always try to avoid replacing the entire exterior door locks or frames, a repair or replacement of a certain part would be cheaper solution and with the right door repairman there is no compromise on the final look result or the strength of the door. 3. 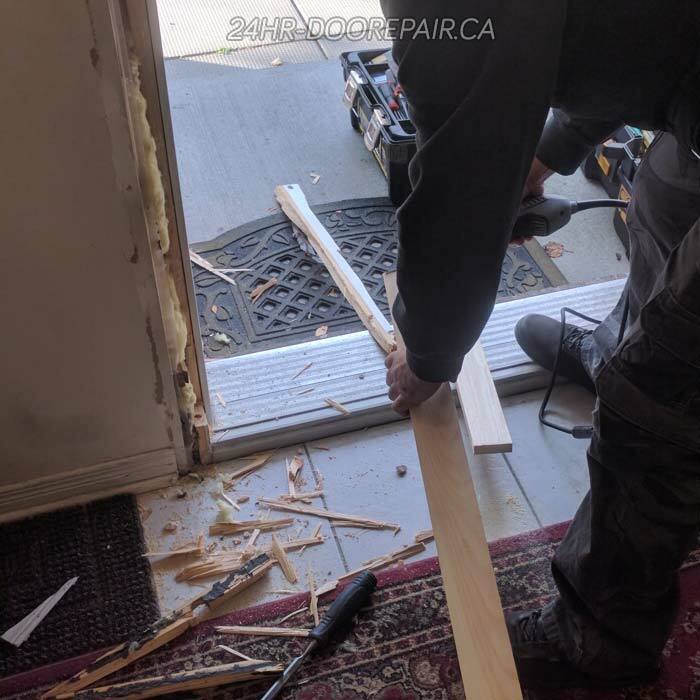 Removing the broken portion of the door frame so we can replace it with a new wood. 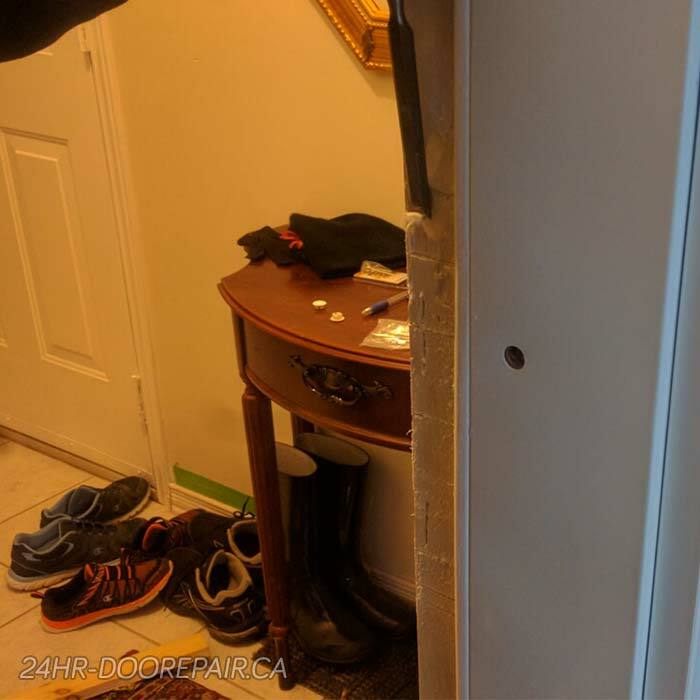 In some kicked-in door door frames, the damage might be much less then is this case, so we might reinforce the broken parts with a new metal plate or long steel screws. 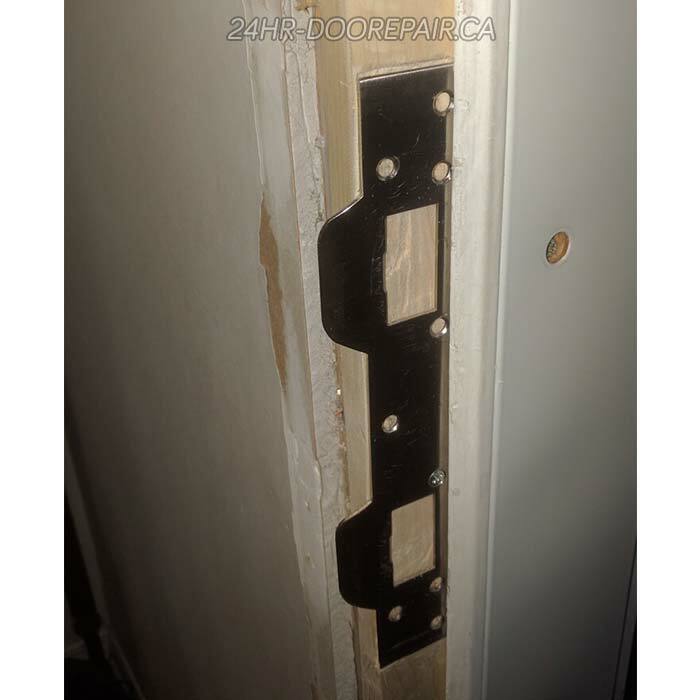 When we go with replacing part of the frame option, we supply sturdy high quality, as it supports the locking door knobs or deadbolt latches. 6. Marking the door lock position and the position of the strike plates position on the new wood. 7. 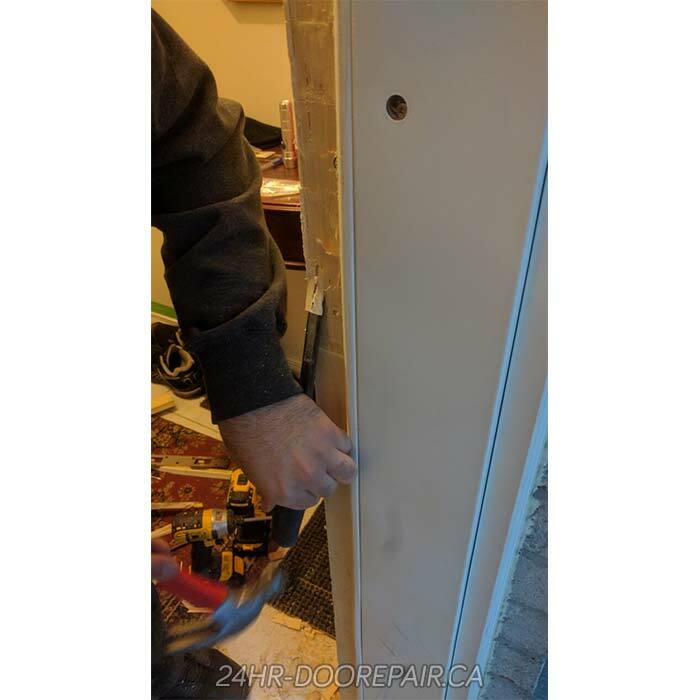 Removing excess wood so the strike plates would blend into the wood and won't rub the door when closing. 8. New solid one peace strike plate and door lock replacement. 9. 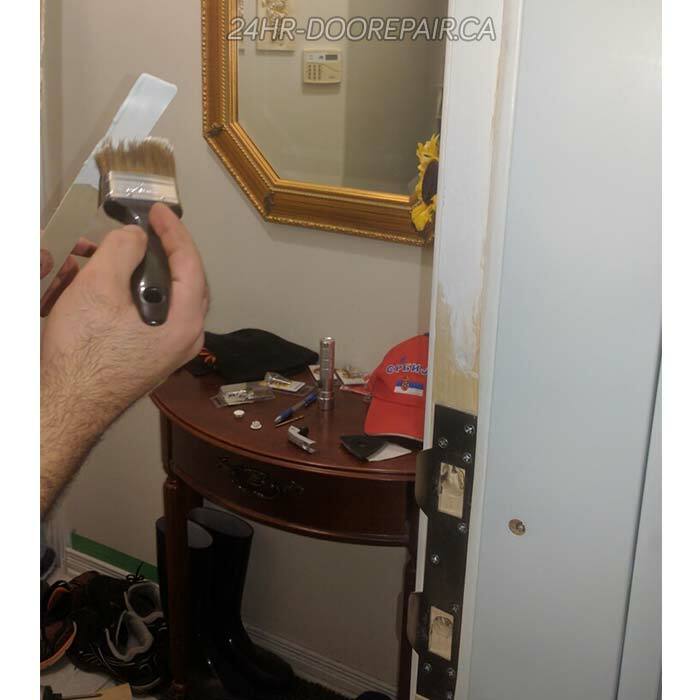 Painting the door frame and finishing touches including drilling the holes for the locking mechanism. 10. The final result including the new side casing panel. The customer and we were both happy, we were able to complete the job within 2 hours, and deliver a same day affordable service as we always do. Feel free to call the office (Lora or Erik) with any question you might have. 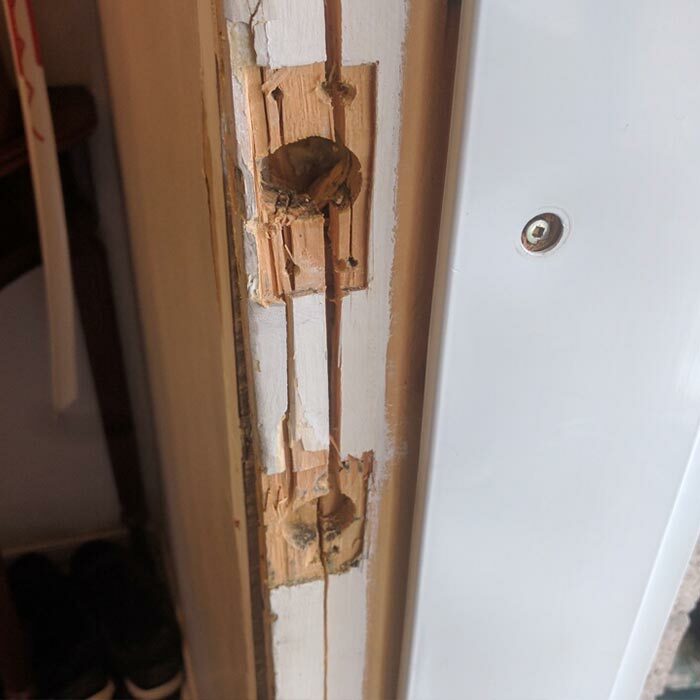 Hello,Thank you for visiting 24hr Door Repair website,I'm Erik Smith, the owner of the company. I welcome you call our office (Lora) and get a free estimate or any advise you need free of charge. We are open 24 hours a day, 7 days a week. 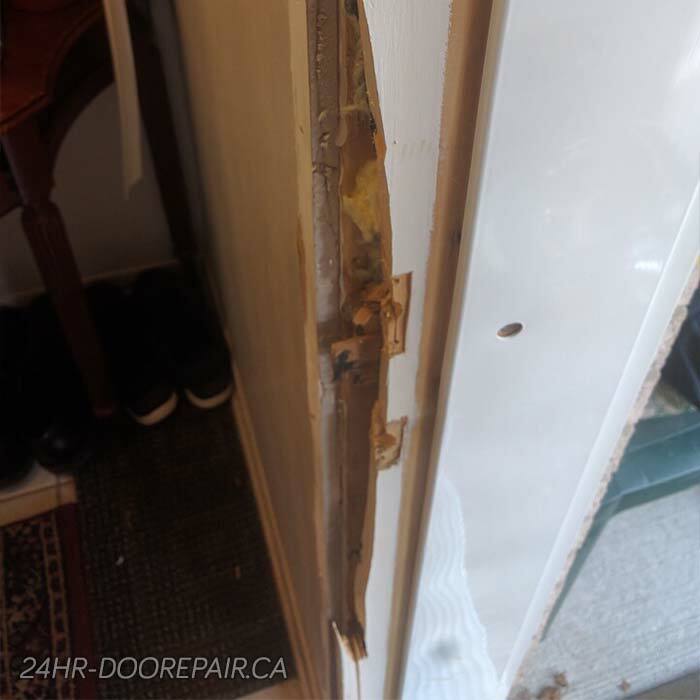 We can handle any commercial or residential door repair, installation or replacement in the Metro Vancouver area (Including Abbotsford). 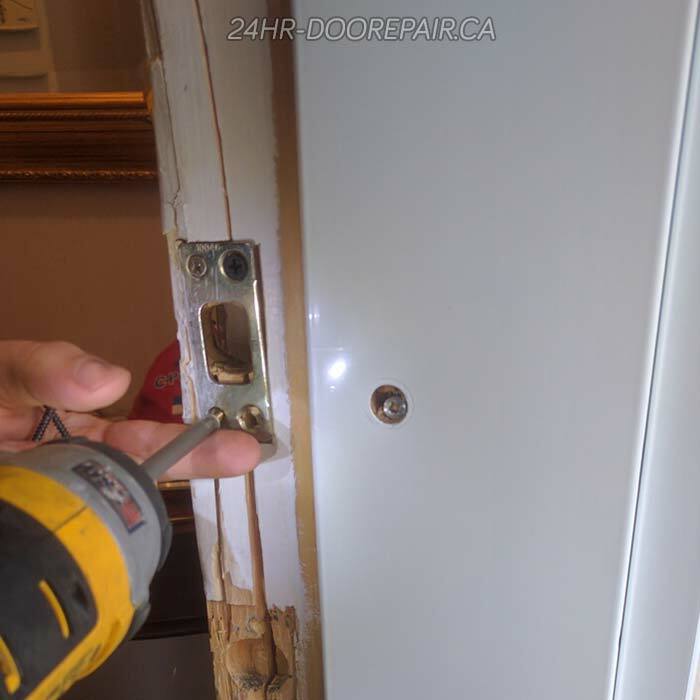 We provide a fast emergency response time to door break-ins and house lockouts. We are fully insured, and most of our work comes with a full warranty on labor and parts.